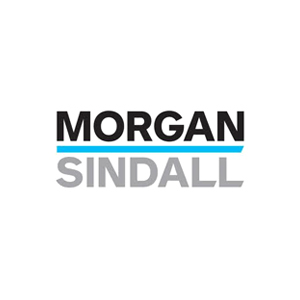 Story Contracting were tasked with the delivery of the track slab system which was part of the renewal of Queen Street Tunnel’s degraded 40-year-old slab track working for Morgan Sindall. The project, part of a larger scheme at Queen Street is part of the ongoing Edinburgh Glasgow Improvement Programme (EGIP). Works began with a three week blockade where sawing and coring was carried out on the up and down lines. This consisted of three core holes every 650 millimetres through the concrete to the rock head and longitudinal saw cuts throughout the entire tunnel. Phase 1 followed on the up line. Once the existing rail was removed, additional longitudinal cuts were made and cross cuts were made every 650mm on sections of original ladder track. Hydraulic bursting was then carried out using the previously cored holes allowing us to split the concrete into sections following our saw cut lines. Phase 2 was a repeat of the first phase only on the down line this time. A deepening was also dug through the rock to form the drain. Once the down line structural slab and dowels were completed, more than three kilometres of drainage was installed. Access restrictions due to engineering trains and other external factors resulted in the programme slipping during its first phase. A nine day recovery programme was produced and a combined team of Rail Scotland, Rail England, Story Construction and Story Plant who put in a tremendous effort pouring 90 metres of structural concrete each and every day to finish the first phase on time. This momentum was maintained for the second phase and the structural concrete was completed five days early. The project was able to celebrate success and demonstrate best practice within many areas. We held weekly coordination meetings with the client and other contractors working within the blockade. These were attended before a formal award was given, in order to maximise time in the planning phase and to gain the most benefit from the coordination plans. Unforeseen delays were also carefully managed in a proactive manner, enabling the original completion date to be met. Ultimately this project demonstrated the collaborative working of a combined team formed by all parts of the Story Contracting business. A fantastic effort by you and your team at Story Contracting to complete the concrete works ahead of programme. Well done and thanks to all involved. To find out more about how we can help you deliver your project contact Paul Marrs on on 01228 590444.